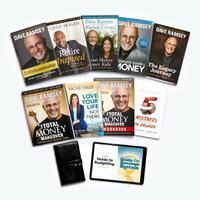 Want the complete bundle of all of our bestselling books and tools? Upgrade to the All-In-One Value Pack! 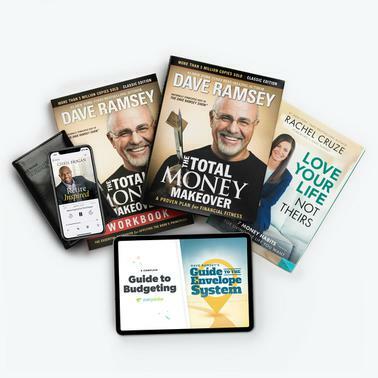 This power-packed bundle includes our essential books and tools to help you get started on Dave’s plan including: The Total Money Makeover, The Total Money Makeover Workbook, Rachel Cruze’s bestseller, Love Your Life Not Theirs, an audiobook copy of Chris Hogan's bestseller, Retire Inspired, a Deluxe Envelope System, and two PDF eBooks! It covers the Baby Step plan in-depth and includes testimonies of people, just like you who have learned how to destroy debt, while teaching you how to set up a cash-flow plan and pay off debt in a way that really works! Learn to make your own investing decisions, set reasonable expectations for your spouse and family, and build a dream team of experts to get you there. Your copies of Retire Inspired - Audiobook, The EveryDollar Guide to Budgeting and Guide to the Envelope System PDF will be available as download links in your order confirmation email after check-out. Retire Inspired is the debut book from Dave Ramsey’s trusted voice on retirement, Chris Hogan. Chris teaches that retirement isn’t an age; it’s a financial number—an amount you need to live the life in retirement that you’ve always dreamed of.